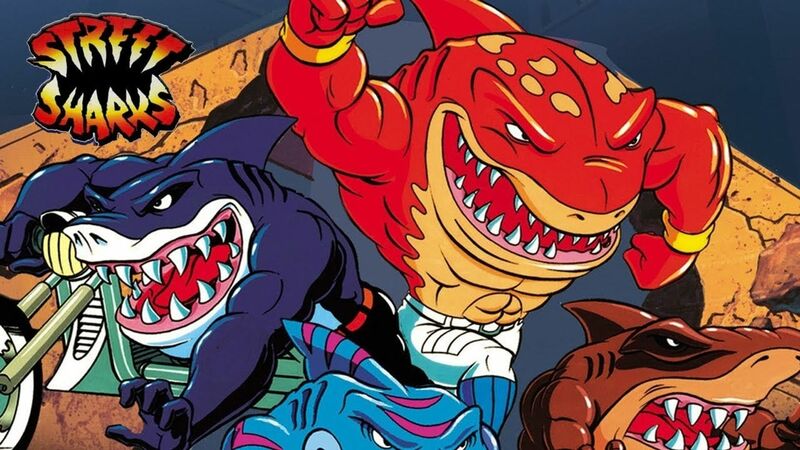 Here's where to watch every episode of Street Sharks season 2. Mouseover or tap an episode to see where to stream it. Click or tap the play icon to stream it on the best available service. City At War (1) Sep 28, 1994 Dr. Paradigm captures Big Slammu to control his mind and the Street Sharks must break into Dr. Paradigm's hideout to attack and save their brother. The Sharkfather Oct 7, 1994 While the Shark crew's going out for burgers and shakes, Dr. Paradigm transforms a squid he has acquired into Killamari who becomes the latest member of the Seaviates. The Sharks have to stop them from breaking into the Bolton home and stealing important genetic research data that their father left behind. Shark Hunt Oct 14, 1994 When a musician called Melvin Kresnik accidentally digests contaminated popcorn and water that was tainted with a gene-slamming chemical, he becomes a mako shark later known as Rox and befriends the Street Sharks. Together, they have to save the concert in town and its attendants from being mutated into more sea creatures. Here Comes The Mantaman Oct 21, 1994 With the help of a mind-control serum, Dr. Paradigm turns Jets Taylor into a killer whale mutant named Moby Lick to be his latest Seaviate. Shark-Jacked Oct 28, 1994 The citizens of Fission City hear an announcement from Dr. Paradigm that he has invented a vaccine against the gene-slamming formula. Turbo Sharks Nov 7, 1994 When Streex has been captured by Dr. Paradigm, the rest of the Street Sharks alongside Moby Lick take to the roads to rescue them. 20,000 Sharks Under the Sea Nov 14, 1994 Rox is back in town for the Fission City Music Awards and plans to play the evidence that would expose Dr. Paradigm's gene-slamming activities. Ancient Sharkonauts Nov 21, 1994 When his hotel had been previously destroyed by the Street Sharks and no family members to live with, Mr. Cunneyworth allows Dr. Paradigm to gene-slam him with the DNA of an electric eel and a moray eel which transforms him into Repteel. While Repteel is ordered by Dr. Paradigm to steal an advanced supercomputer part for his robotic machine, the Street Sharks take a cruise around the city to find the doctor's new Seaviate's location and put a stop to their evil plans. Sharkotic Reaction Nov 28, 1994 The Street Sharks are framed and brought out of hiding by Sharkbot, the robotic machine built by Dr. Paradigm in the last episode. The Street Sharks must once again defend their reputations and take on Sharkbot. 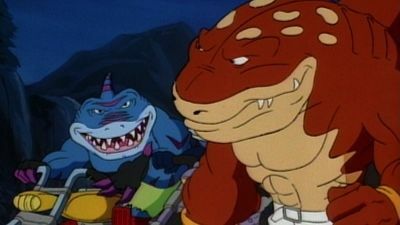 Sand Sharks Nov 28, 1994 The Street Sharks discover an underground civilization of mutant crocodiles that happen to know Dr. Bolton after he cured them of their damaged genes. Meanwhile, Dr. Paradigm rebuilds Sharkbot and captures one of the mutant crocodiles.